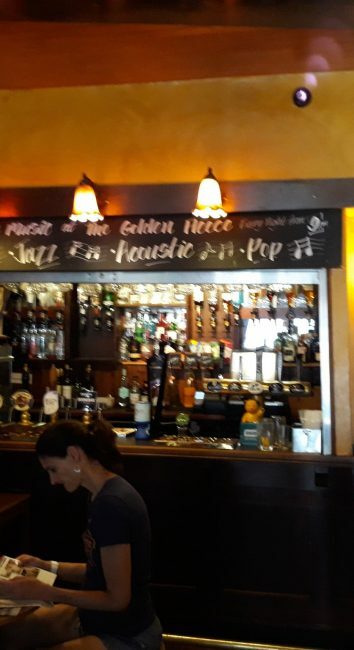 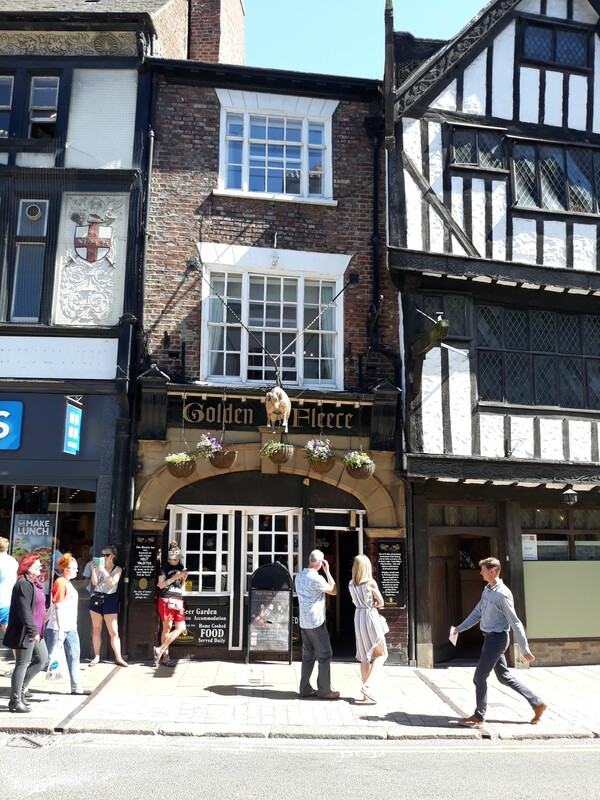 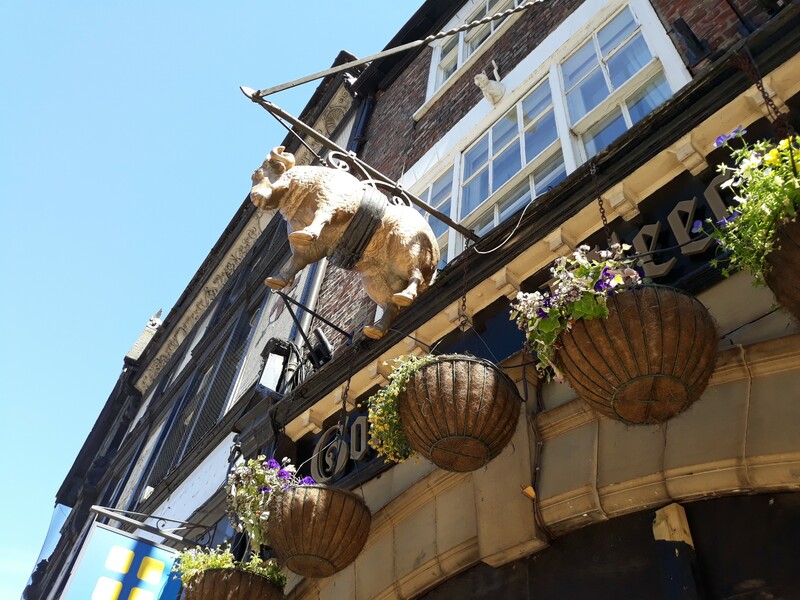 The Golden Fleece is an inn in York, England, which has a free house pub on the ground floor and four guest bedrooms above. It dates back to at least the early 16th century and claims to be the most haunted public house in York. 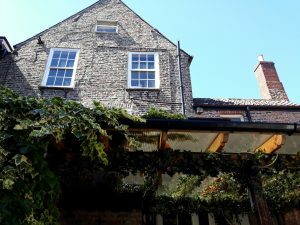 The inn was rebuilt in the 19th century. 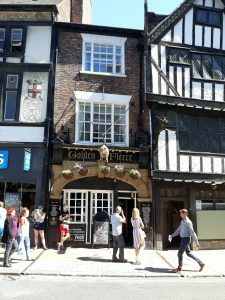 In 1983, it was designated as a grade II listed building by English Heritage. 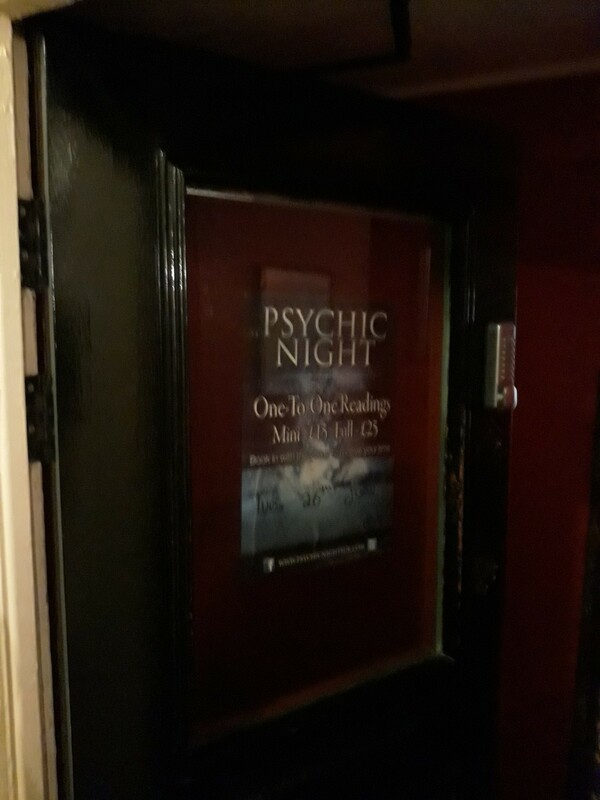 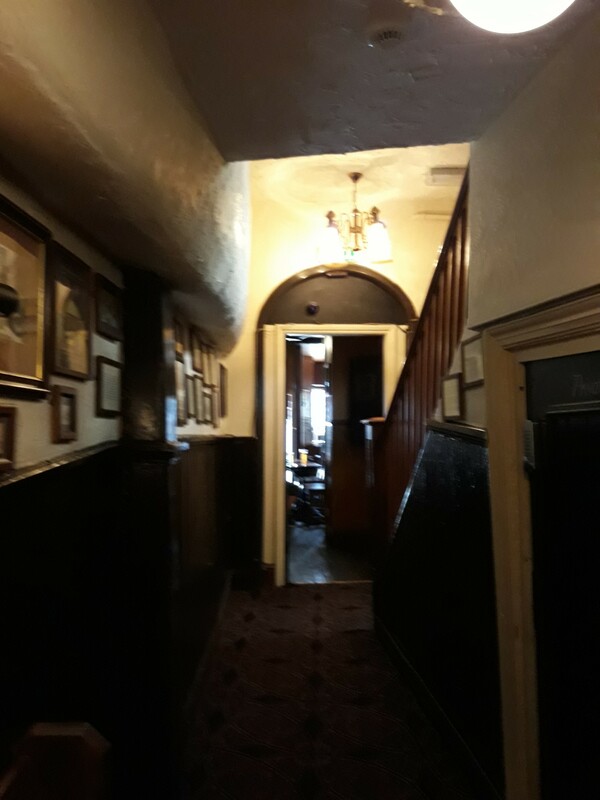 The inn claims to be the most haunted public house in the City of York. 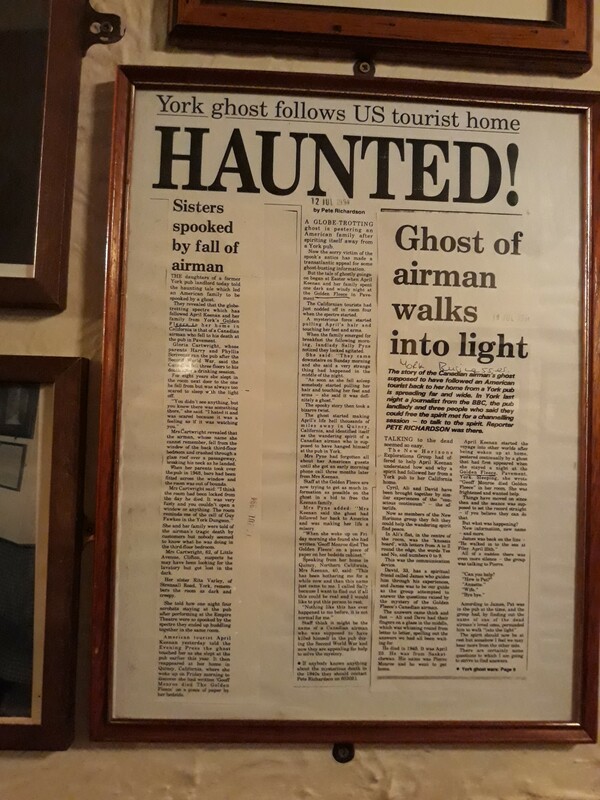 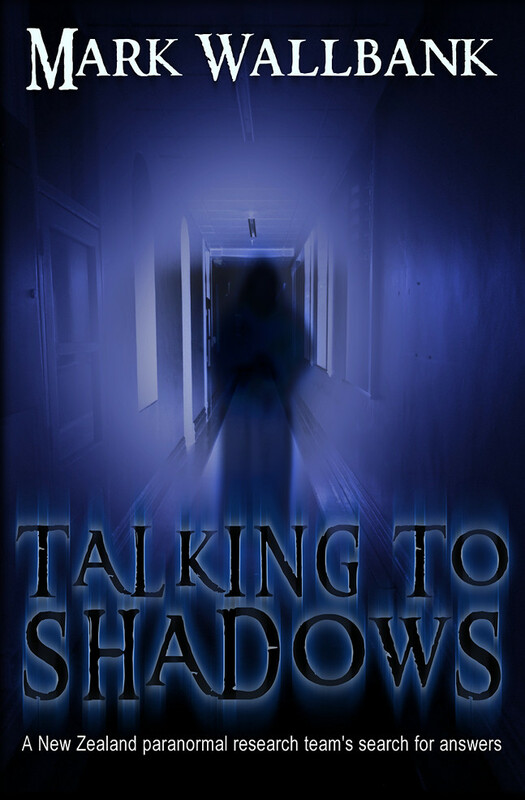 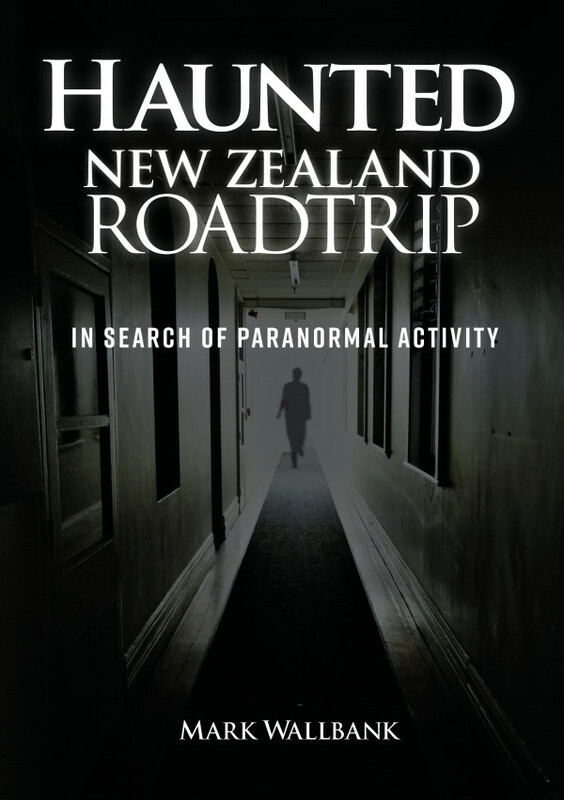 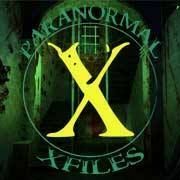 It was featured in Most Haunted, a television series about supposedly paranormal phenomena. 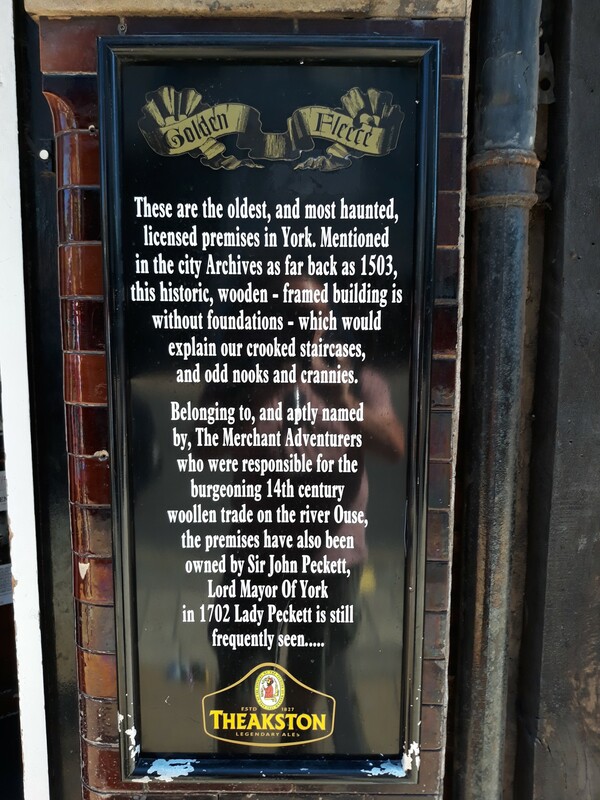 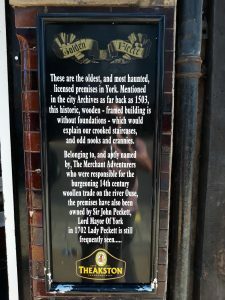 There are thought to be fifteen spectres in residence at the hotel, but the most noted of which and the most talked about is Lady Alice Peckett, wife of John Peckett, who used to be the mayor of York and also the owner of the hotel. Many guests have reported seeing Alice wandering the corridors of the hotel, moving furniture around and walking up and down staircases in the small hours of the night. 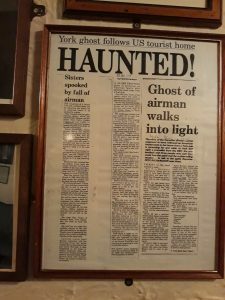 Another of the ghosts is a Canadian airman who fell to his death from one of the upper windows of the hotel during World War II. 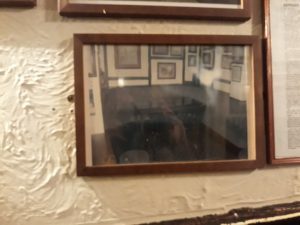 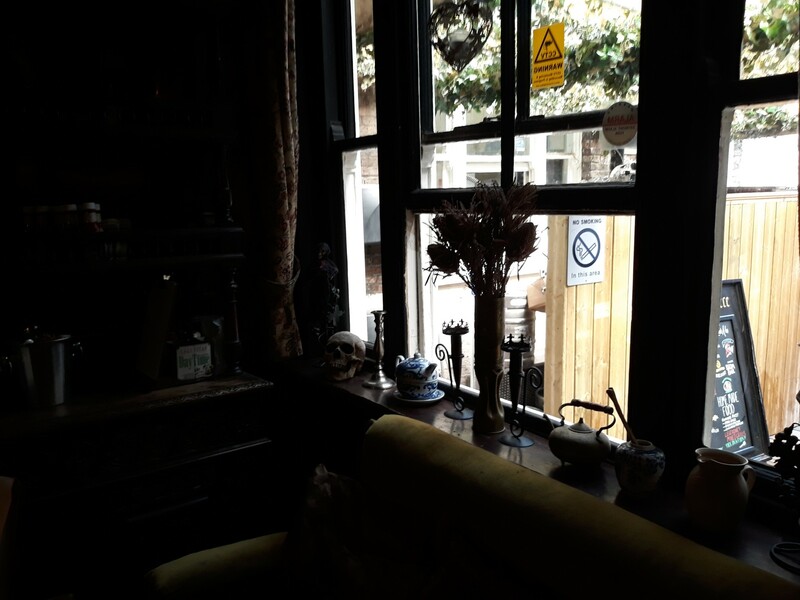 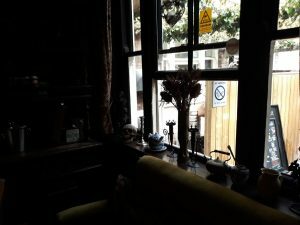 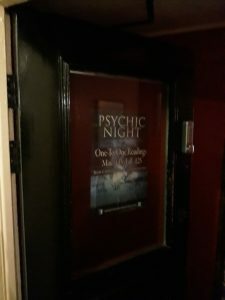 Other ghosts include a man known as One Eyed Jack, who is often seen wearing a 16-17th century red coat, carrying a pistol, in the bottom bar of the pub. 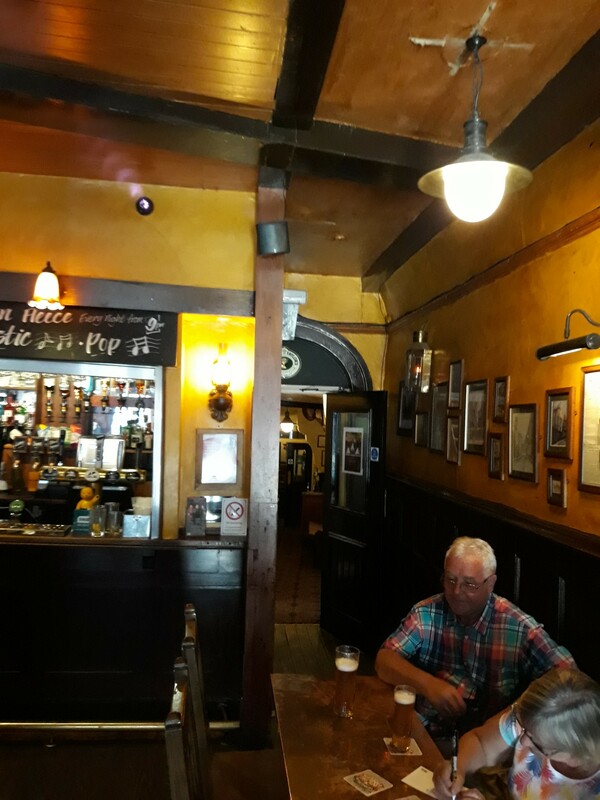 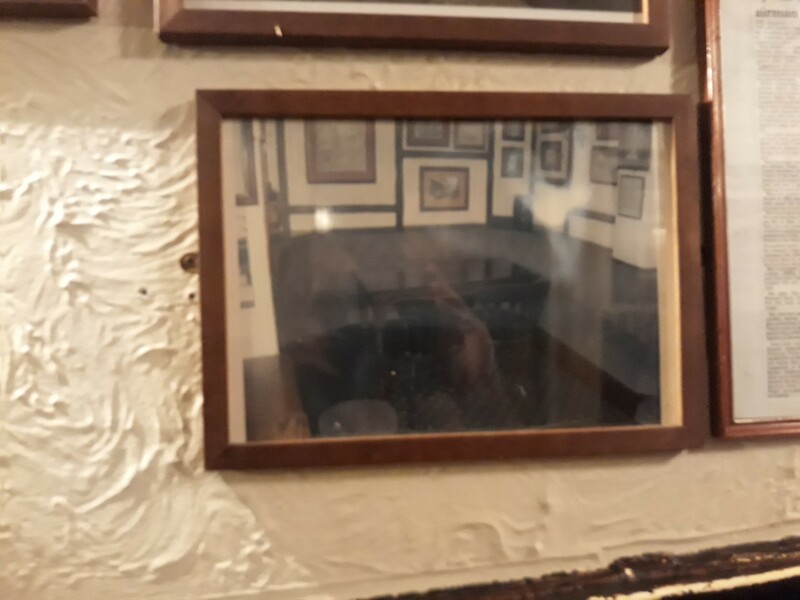 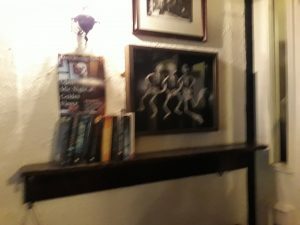 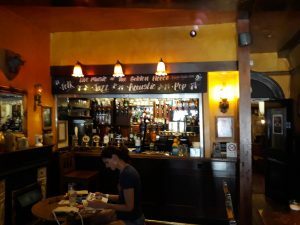 He’s joined by a grumpy old man, also regularly seen in the bottom bar, and by a young boy from Victorian times who was trampled to death by horses who is regularly seen in the top bar.